Facebook’s VR division Oculus is finding it difficult to distance from court battles, of late. While the ZeniMax lawsuit is far from over, the company has now been slapped with yet another lawsuit over the 3D imaging technology incorporated in their Rift VR headsets. It has been filed by a lesser-known competitor called Techno View IP Inc. in the Delaware federal court on Thursday. The California-based technology licensing firm Techno View IP Inc. has sued Facebook-owned Oculus VR for allegedly infringing on the patented 3D-imaging technology, as reported by Reuters. This patented technology enables the VR headgear in processing images to create three-dimensional virtual reality images — projected via lenses in front of the users’ eyes. The licensing company has stated in its lawsuit that Oculus infringes on an existing patent (U.S. Patent No. 7,666,096) called “Method For Generating The Left And Right Perspectives In A 3D Videogame.” This technology concerns simultaneous generation of left and right perspectives in a 3D video game, playable only on a virtual reality headset. It is made possible with the method of dynamic image processing of multiple simultaneous images to create three-dimensional output. Techno View continues to add that Oculus infringes on several other patents held by ImmersiON-VRelia, related to the same technology. This technology is originally owned by VR headset maker ImmersiON-VRelia, who is allowing Techno View to litigate the patent fight against Oculus on their behalf. ImmersiON-VRelia, with offices in Spain and California, is known to make VR headsets similar to the ones produced by Oculus — Rift developer kit. They also sell VR devices similar to Samsung’s Gear VR, which can be used along with a smartphone. In the lawsuit, Techno View has mentioned that ImmersiON-VRelia’s chief executive Manuel Gutierrez Novelo had secured multiple patents related to VR technology in the period between 2003 and 2006. And Oculus, which was founded back in June 2012, is said to be infringing on the family of said patents — related to 3D imaging. Doesn’t this sound at least a little bit familiar? Well, yeah, we have already told you Oculus was slapped with a separate lawsuit earlier this year. Oculus used ZeniMax’s hardware and software technology to create a software development kit for the Rift and to develop, modify, and tune the Rift hardware. This development comes on the heels of its recent tussle with ZeniMax Media Inc, which ended with a $500 million verdict in favor of the latter. 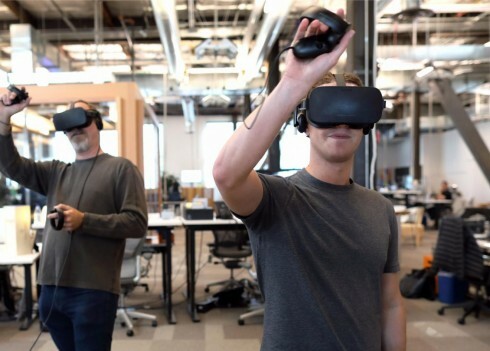 During its lawsuit, ZeniMax questioned the capabilities of Oculus CEO Luckey Palmer (who’s now quit Facebook) saying that he didn’t have the expertise to create a viable software or hardware for this VR startup. Thus, Oculus, which was bought for $2.3 billion by Facebook, was sued for employing copyrighted code created by designer John Carmack while he worked at ZeniMax. The said battle is far from over as Facebook has plans of filing an appeal against the game developer.